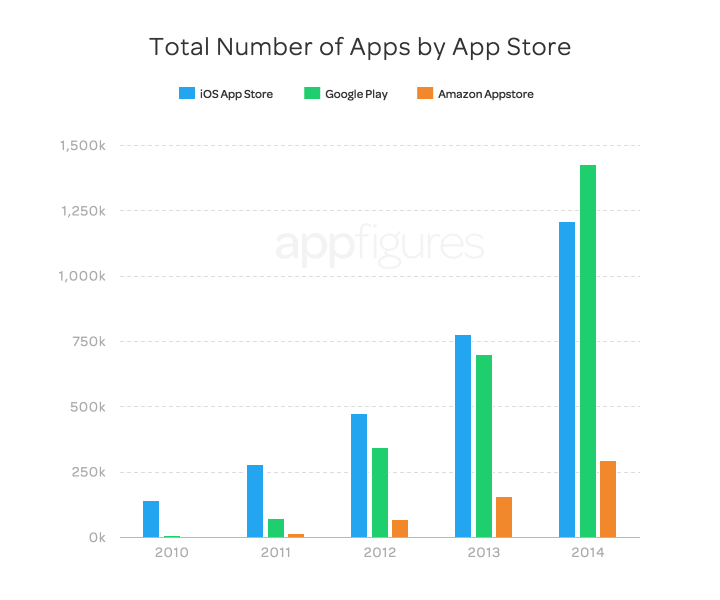 Google Play had more apps than the Apple iTunes Store at the end of 2014, marking a big change for app community, a new study from appFigures said on Tuesday. 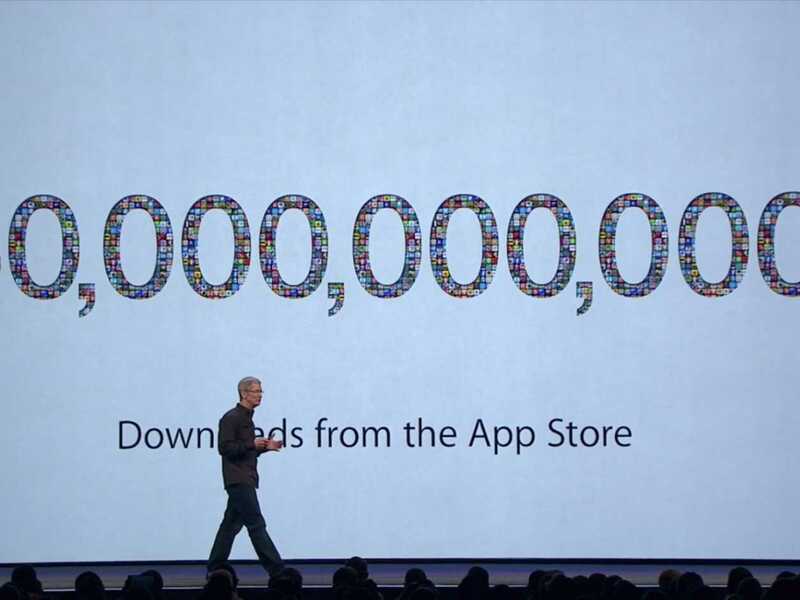 It said Google surpassed Apple for total number of apps with 1.43 million compared to 1.21 million. The apps come from roughly 390,000 Android app developers and 280,000 iOS developers, those of which have to pay $99 a year to be a part of Apple’s Developer Center. 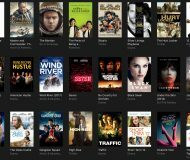 Apple has long bragged about having a larger amount of apps available for its platform than Google, however that seems not to be the case. 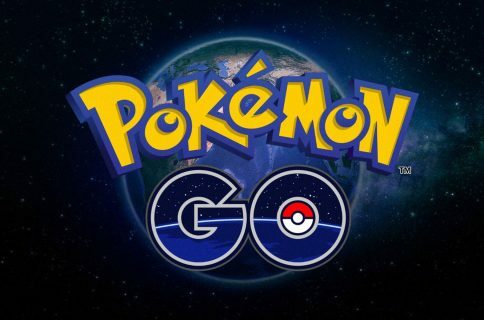 Developers are taking advantage of both app marketplaces to be able to reach as many downloads as possible. 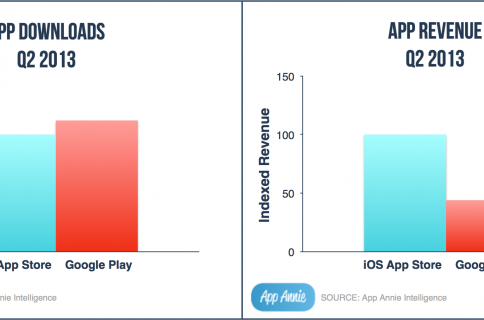 It’s worth nothing, that developers often release their apps on the App Store before Google Play. Furthermore, Google Play doesn’t have the stringent review process the App Store has, and developers on Google Play can release apps for free. 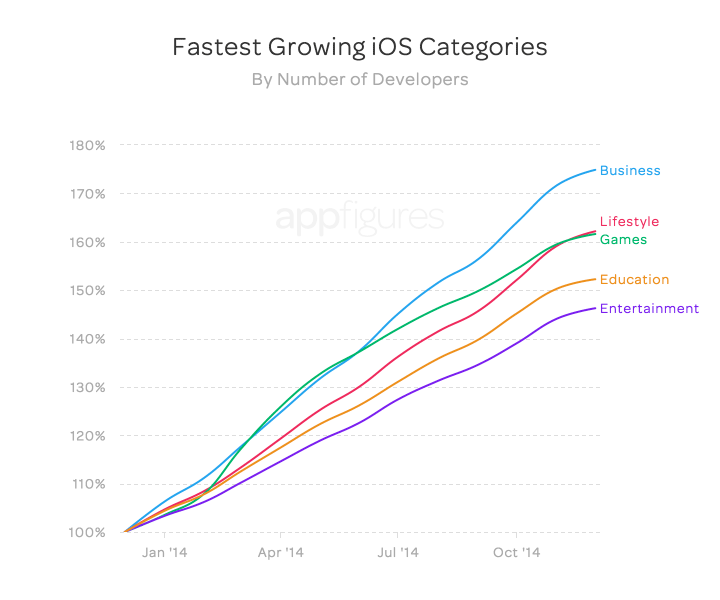 In its report, appFigures says iOS saw the most growth in the business and food & drink categories on its App Store in 2014. Apple recently announced that the first week of January set a new record for billings from the App Store, with customers around the world spending nearly half a billion dollars on apps and in-app purchases. 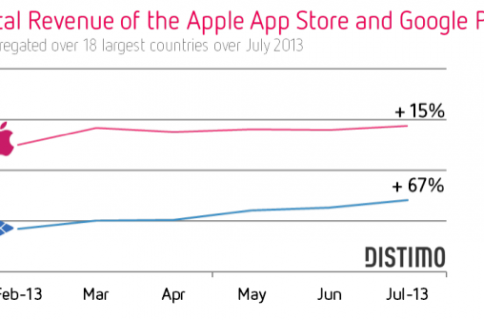 It also revealed New Year’s Day 2015 marked the single biggest day ever in App Store sales history, as customers presumably used gift cards and took advantage of App Store sales. Furthermore, Apple launched a new website on Thursday, showing the jobs created by its ecosystem. It says more than one million jobs have been created to support Apple in the US.